If you’re planning to join us in 2019 at one of our ultimate supercar track days in the UK or Europe, or are just taking your initial steps towards taking part in your first on-track experience, you’re probably already counting down the days. While you’re bound to be excited, if you’re not blessed with years of track day experience, there are certain things you need to consider before you venture on-track. Our handy five-step guide should help you feel more organised and confident. You may think your car is track-ready, especially if you’ve bought it specifically for track use, but is it? If this is your first time on-track with your vehicle, can you be sure? Take away the guesswork by checking there is sufficient tread depth on your tyres to give you grip all day long; examining the brake discs and pads for wear, ensuring your fluids are topped-up and checking for any potential defects before you head off. If you’re not mechanically minded, book in for a dealer service and have any potential problem areas sorted. While expert technicians are on-hand at every Greystone GT event to offer basic technical assistance, track day operators are not responsible for the track-worthiness of your car. Be aware that the ever-present circuit marshals are in constant contact with race control and will report any behaviour (yours or your car’s) on-track that they deem hazardous to others – with noise levels a particular bone of contention*. The last thing you want is to have your track day cut short – and your money wasted – because of a basic fluid leak or cracked exhaust that could have been easily fixed beforehand. And don’t forget to fill her up; there’s nothing worse than bringing out the red flags because you’ve run out of fuel. *Greystone GT Supercar Track Days operate with the highest noise-level allowance possible at each UK circuit visited. You’ve got the car and naturally, you want to maximise performance. The lighter your car, the better feel you’ll get through the twists and turns and the higher your exit speed; all adding up to more confidence and faster, more consistent laps. There is a more practical side to it though. The sheer forces involved with cornering will send any loose items flying around your car. CDs, SatNavs, phone cradles and even that half-eaten chocolate bar you were saving for later will all have to come out. Get rid of what you can at home, and lose the essential extras, such as your spare wheel and tool kit when you’re at the circuit. Most track day operators will be able to offer a secure space to keep your belongings safe. Nobody heads to a track day planning to leave with a damaged car, but it’s always best to be prepared for any eventuality, hence the dreaded question of insurance. It’s boring and it’s likely to cost you a little more, but it is recommended. essential. If you’ve bought your car especially for track-day use, chances are you’ve already investigated the range of insurance options available, but if your vehicle of choice is regularly used on the road, it’s important to read your policy to check whether you’re covered on-track. Due to the high standards we hold our events to, some insurers will include track driving at Greystone GT events as part of your policy. For those of you who are not already covered, specialists such as Reis Motorsport Insurance have years of experience behind them and can help set up a cost-effective package that puts your mind at ease. You may wish to consider personal insurance as well, for additional peace of mind. Don’t worry; nobody’s going to have you shelling out thousands of pounds on state-of-the-art HANS restraints, fireproof overalls or lightweight racing boots. Track days are far less restrictive than motorsport test days, usually because the bulk of the machinery on track will be of the road-going variety. Comfortable shoes are advised, as are racing gloves if you suffer from sweaty palms, while you’ll usually be asked to have your arms and legs covered and flip-flops are a big no-no. One non-negotiable, however, is a helmet. 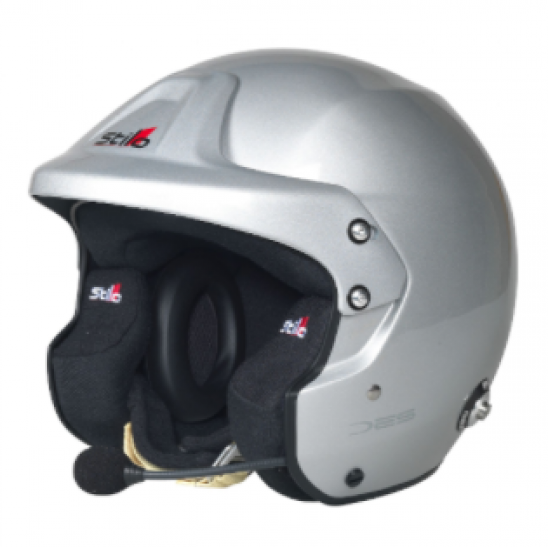 If you don’t own one, a range of Stilo helmets and intercom kits – essential if you’re booking in-car tuition or taking passengers out – are available for purchase via the Greystone GT store, but make sure they’re the right size. An ill-fitting helmet is neither comfortable, nor safe. Much easier than it used to be, thanks to the huge number of resources online, many of which are free. Examine the circuit map, clock the radius of each corner, store in your memory the size and type of run-off. Search any number of onboard laps on YouTube, though the most useful ones will be those recorded in vehicles most similar to yours and with speed and gear readings overlayed. Try a racing game that features the track you’re coming to next and practice in the most relevant vehicles you can find. Better still, purchase a steering wheel-and-pedals set and try and calibrate it to match the same amount of lock on your track-day car for a more immersive and accurate experience. While all of this provides excellent preparation, none of it is a substitute for the real thing. Take it at your own pace, try not to feel intimidated by other drivers or their cars, and perhaps consider hiring a professional instructor in advance or on the day, who will give you the guidance and encouragement you need to build your confidence, track-craft and speed.